Categories: All, Aluminum Profile [1.x...], Buy By Length, Clamping Profile [1.21.x...], Modular Assembly Systems. 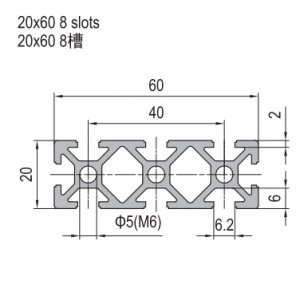 This product is a CLAMPING PROFILE PG30 R60 2 CLAMPING SLOTS with a mass of 1.4kg. The profiles are used to fasten panels in whatever position is required for a construction. After panels are inserted, the machining can begin. 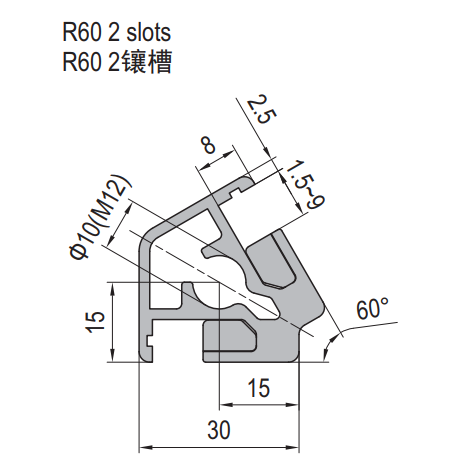 (Thickness range of 1.5-10mm) Recommended machining distance is 300mm.